The iconic Glass House in the arts district of Pomona in California gave birth to a small venue. Initial names were Roscoe and Wendy but instead, the little guy was named "The Blue Room" and the inaugural show took place Friday, the 24th of January with The Lovely Bad Things, So Many Wizards, GRMLN and Roses. By anyone's standard, the first steps of the Blue Room was a success. The show easily sold out, each band gave strong performances and the crowd on hand was not content to sit on their heals and just bob their heads. In the end it was a moshy, crowd surfing night with many a lost cell phone falling into the fray. The Blue Room's entrance is the alley behind the Glass House only adding to the appeal. The space itself is the overflow area behind the stage that flows into the backstage green room. The space flows right into the Glass House floor space but is cordoned off by a gate. The "blue" space flows directly into Acerogami Lounge and if you are of legal drinking age you can gain entry and grab yourself a beer. The room containing the stage and backstage entrance funnels off the larger "blue" space. The stage which only rests inches above the floor run from wall to wall. When the room packed tight and it did, it was difficult to see the bands if you were farther back than 6 feet. I would hope that eventually the stage gets built up a few feet high. Like any smaller room, the sound varied on where you stood but in most of the spots I stood, it was good and really loud. You might want to pack some ear plugs in case you want to get up close. This all ages venue also provided Gatorade, water, and snacks. Merch tables were set up for the bands. 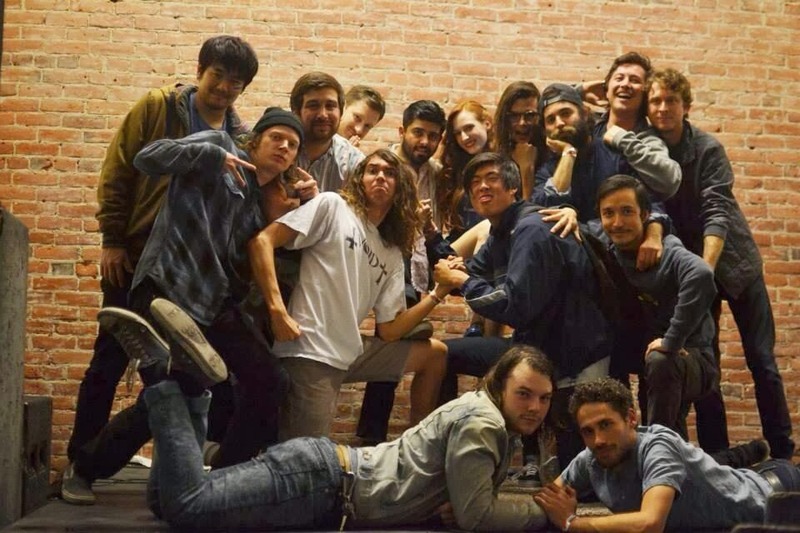 Not only was this show the birth of a new venue, it also was a love fest between the bands and wunderkind promoter Rene Contreras of Viva Pomona who put this show together. Most everyone on stage has played in past shows that had Contreras' mark on it like the Viva Pomona shows themselves and every band tossed verbal roses to Rene and rightly so. Roses started things off with totally infectious synth pop, The new wave meets indie sound felt like Abe Vigoda meets the Killers which make sense considering Juan Velasquez of AV plays guitar in Roses. GRMLN had a lot of fans in the room and played a great set debuting a new song which immediately sounded like a hit. They sounded edgier and heavier than when I last saw them and I like that. So Many Wizards stirred their melodic dreams up and I was stoked to finally hear "Inner City" live. This was The Lovely Bad Things first headlining show since their two month medical hiatus from drummer / guitarist's Brayden Ward's back surgery and recovery. The La Mirada band peppered their set with a number of new songs. From the first guitar strains to the final ones, the crowd showed their love and welcomed them back with open arms and flailing bodies. Guitarist / singer Lauren Curtius was visibly moved by the turn out and audience response. A good time had by all at The Blue Room. A truly awesome show. We need more small rooms like this for up and coming and established bands. This space off the Glass House will assuredly change over the next several weeks. I hope that eventually they add a higher stage and lighting and of course, a really cool neon sign in that alley. Good job guys.